Dr Dorothy Goddard, MB ChB, MRCP, DMRD, FRCR, graduated from the University of Bristol Medical School in 1977 and trained in Medicine and then Radiology in Bristol hospitals. Dr Goddard is a Consultant Breast Radiologist and the Breast Unit’s Clinical Lead. She was appointed Consultant in Diagnostic Breast Imaging at the Royal United Hospital, Bath, in 1996 and Breast Unit Clinical Lead 2001. She has a wide experience of all modalities of breast imaging and breast patient management and participates in the NHS Breast Screening Programme in Bristol. She has been the hospital’s Lead Clinician for Cancer since 2002 and is a member of the National Breast Cancer Working Group for the NHS Cancer Reform Strategy and Improving Outcomes for Cancer. 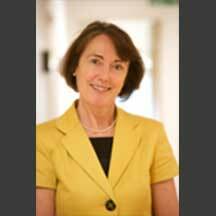 In 2011 Dr Goddard was appointed National Clinical Advisor for Breast Cancer Survivorship.